If you want to spend several days in a row learning to windsurf, or improving your windsurfing skills you need to come to North Beach Windsurfing Camp! We can customize an experience just for your group, so you can pick the dates and let us know what your goals are. Bring your whole family or a group of friends to learn with, or bring your gang of windsurfing buddies for an upper level camp. 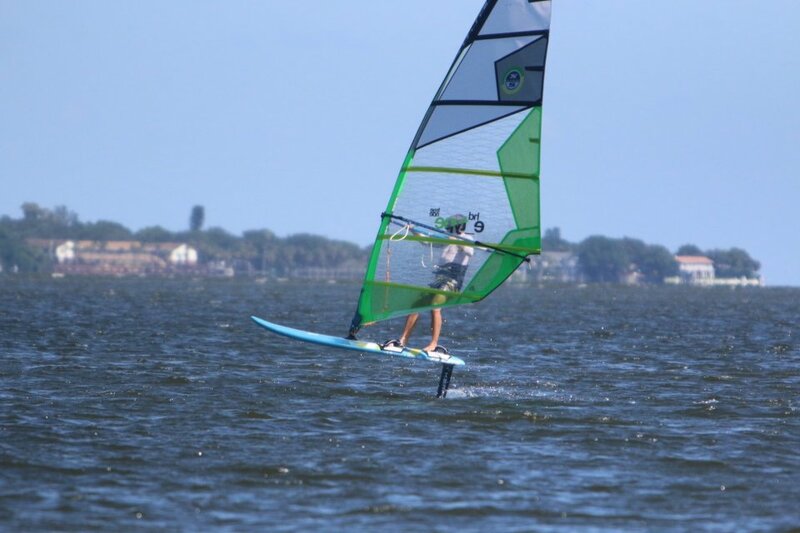 St Pete Beach has great conditions for learning to windsurf. 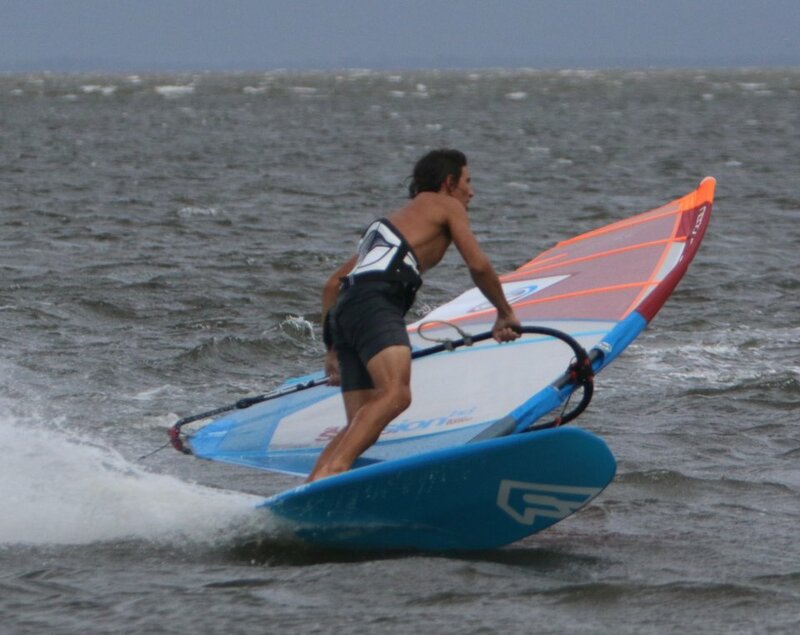 Beginners will love the shallow, flat-water and more experienced windsurfers have options for deep water for foiling or rougher water in the Gulf of Mexico. And with lots of hotel options, great restaurants, and beautiful white-sand beaches; even non-windsurfers can have a great time. 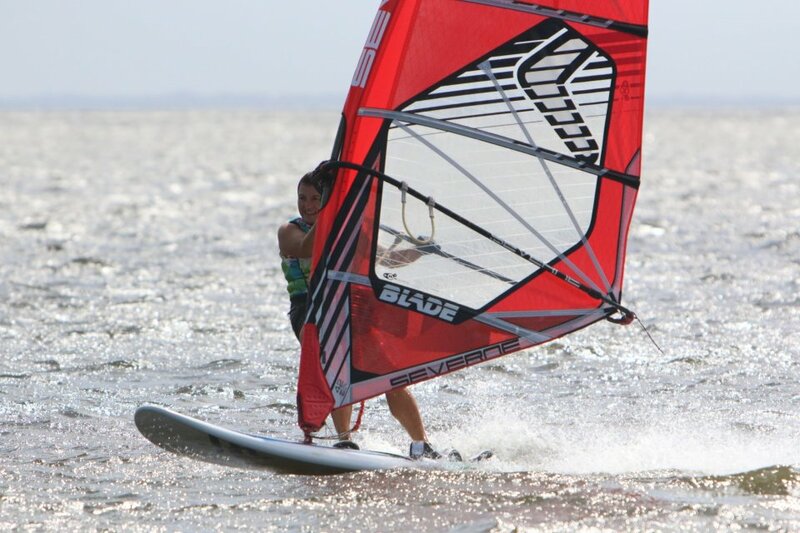 Check out our blog post for more information about windsurfing vacations in St Pete. The Beginner Windsurfing Clinic is designed to teach you all the basics of windsurfing, you will learn the how and why of windsurfing along with lots of practice time on the water. Skills are learned on shore first followed by on the water instruction. You will also have the chance to learn how the board and sail work, how different designs work differently and all about safety while windsurfing. We will also begin to introduce intermediate skills, so you will have lots of things to practice when you get back home! The cost for three days is $350/person and participation is limited to six people to ensure maximum individual attention. The clinic runs approximately 4-5 hours per day, so you have lots of time to spend at the beach with your family too! You already know how to do the basics - but maybe you want to learn how to use the harness and footstraps or how to waterstart. Or maybe it is time to finally plane out of your jibes or learn all about wind-foiling. We have the equipment, great conditions, and the instructors to make that happen! We can create a 2 or 3 day windsurfing clinic just for your group to focus on the skills that you want to work on the most. Just give us a call at 727.656.6569 or send an e-mail and we can help you pick the time of year that will have the best conditions. The price for advanced clinics will vary depending on the number of people who are coming, if gear is included or if you are bringing your own, and on the skills being taught.